A man is suing Tom and Rita Hanks because their son, Chet, reportedly caused a car accident that injured that man. I’d like to examine the idea that a third party can be held responsible for the actions of another person. Tom Hanks and his wife are the registered owners of the car Chet was driving. Chet has a history of drug and alcohol abuse. The main thrust of the argument is that by purchasing a car and insurance for Chet, they enabled him to drive. Without their intervention he would not have been able to drive a vehicle and thus would not have been in the accident. The lawsuit brought to my mind the idea of suing someone for what in legal terms is largely called negligence. Negligence law is quite complex and I could get quite bogged down in minutia. I want to avoid that. There are many situations most people can agree whether a third party is or is not negligent. I’ll give an example of both. Your friend comes to you and asks to borrow your firearm (or kitchen knife) so they can shoot (or stab) someone else and you give it to them without question. I think most people would say that you are partially responsible for the ensuing murder. Your friend borrows your firearm (or kitchen knife) to go practice at the shooting range (or cut vegetables) but then shoots (or stabs) someone else. I think most people would agree you did not behave in a negligent fashion. At what point am I responsible for someone else’s harmful actions? That’s the question. That’s the legal line of negligence. It’s not an easy question. Each case must be adjudicated on its merits. And yet, I think there is an answer. The larger, and better, answer is that we are not responsible for another person’s actions. They alone are responsible. If I provide that person with the means to commit a crime (the car in this case), there is no way to say they wouldn’t have acquired those means via another avenue. Chet could have purchased his own vehicle and gotten insurance. He could have stolen a car. He could have driven without insurance. If a friend comes to me saying they want to murder someone and I immediately loan them my gun, I am not responsible for the ensuing murder. I didn’t do it nor did I encourage or manipulate my friend into doing it. I am certainly guilty of being a horrible person. I never should have loaned them the firearm. I should have tried to talk them out of it. I should have called the police to alert them. I should have called the target and warned them. I’ve failed as a person on many levels but I did not commit murder. And yet there is a victim. Someone’s life was changed or ended. The family and friends of the murder victim. Maybe the victim survived but is in a vegetative state or crippled. Their life has been fundamentally and irreversibly changed. If it was one of my sisters or friends I would be extraordinarily angry at the negligent third party who gave the murderer the firearm. But would that person be guilty of negligence and owe me money? I say no. I say you can’t be responsible for another person’s actions unless you intentionally manipulate them into doing something. We must all be responsible for our own actions. It’s a tough concept to swallow and I understand people will disagree. My final argument is to ask if negligence laws prevent people from criminal activity? If Tom and Rita Hanks are held financially responsible for Chet’s alleged mistakes does that make the world a safer place? If parents around the nation who have children with alcohol or drug dependencies stop getting cars for their dependents will it stop the children from driving? Or will it cause more problems as said children need transport and resort to whatever methods required to get it? 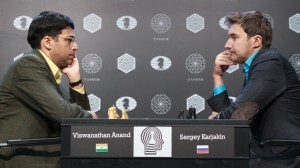 I know the title of this blog isn’t too exciting but if you’ll put up with me for a moment I think I can show how a controversy that is roiling the chess world might well have a big impact on you. The situation is this: A company called Agon Limited contracted with the FIDE (World Chess Federation) to have exclusive rights to develop, organize, and commercialize the World Chess Championship cycle. As part of this exclusive control they demanded that no other site publish information about ongoing games in the just concluded 2016 Candidates Tournament. In the past other chess orientated sites have broadcast such events on a move-by-move basis. They didn’t broadcast a live view of the players, just the moves those players made on an image of a chessboard that was updated regularly. Several sites refused to accept this demand and went ahead with their broadcast. Agon is now moving forward with legal action against those sites. At this point, if you’re still with me, you’re probably wondering how this effects you. If Agon is successful in their efforts it means that no one can legally give information about an ongoing event without permission from the original content provider. This is an extraordinarily broad restriction. It means that sports websites like ESPN could not give you updates on the status of current events. It would mean, for example, that the only way you could learn what was going on in the currently running 2016 NCAA Basketball Championships would be to tune into the primary broadcaster. No other outlet could give you so much as an update on the score of the game. It could be extended to non-sports events like awards shows. No entertainment outlet would be allowed to broadcast the winner of an award until the conclusion of the show. The benefits for the original broadcaster are obvious. If the only way to get information about an event is to watch said event from the provider, it forces more people to watch the show. The drawbacks for everyone else are likewise apparent. Every other outlet that gains an audience by broadcasting information about the event is out of business. All users that cannot or do not want to watch the original broadcast are left without recourse. One can certainly imagine if the primary broadcaster has sole rights to updates of an event, they might well find a fee-based structure in order to gain access. They have a captive audience. That also cannot be good for consumers. Paying attention to what this about yet? I’m hard pressed to believe the courts will support Agon in this lawsuit but it bears watching. It’s March Madness and that means lots of hard fought basketball games. There was an incident after the Oregon v. Duke game that I think might give us all cause for reflection. We make many assumptions in life and, if we are honest with ourselves, sometimes these are completely incorrect. Near the end of the game an Oregon player named Dillon Brooks took a very long shot as the clock was winding down even though his team had the game in hand. There were actually good reasons he did this including instructions from his coach. That’s not my topic for today though. Coach Mike Krzyzewski approached Brooks after the game and said something to him. Afterwards people were wondering what was said in the exchange. Brooks responded that Krzyzewski told him, “You’re (Brooks) too good a player to be showing off at the end“. Coach Krzyzewski, when asked, denied this and said that what he told Brooks was that he was a terrific player. 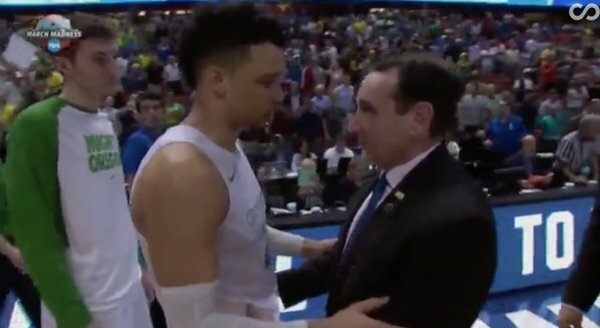 Brooks is a young man while Krzyzewski is a well-respected and older coach. When I heard about the exchange I immediately and without much thought believed Krzyzewski. Why would a coach with such a distinguished record lie? Brooks was coming off an emotional win, perhaps he misunderstood, I thought charitably. Then audio of the exchange was released. Coach Krzyzewski has now apologized both for his original denial and for lecturing a player from another team. My point is straight-forward. In a he-said/she-said situation how many times do we believe the person who appears to have more credibility. I think this is natural. The person who has more credibility has achieved that status for a reason. But the reality is far more nuanced. Sometimes the more credible person has more to lose. Sometimes the more credible person knows they can get away with a lie because the other party is less trustworthy. I think we see this situation far more often than we realize. I’m of the opinion a lot of times the less credible person is not believed and suffers consequences, sometimes severe. What I hope you take from this incident is while believing the person who appears to have more credibility might be natural, it’s often wrong. We should always dig a little deeper, if possible. I’m curious. Without the conclusive audio evidence would you have believed Coach Krzyzewski? Would you have labeled Brooks a liar and lost respect for him? Without Audio what would you have thought? 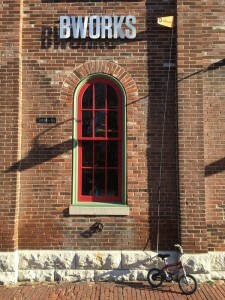 Once a month we have a company happy hour after work at the tavern downstairs in our building. We drink a few drinks, sing a few songs, eat some pizza, and have a nice time. The owner of the company often brings his eight year old daughter because she likes the pizza. I just arrived home after said event. Sadly Sophia was unable to enjoy her pizza tonight. My boss and his daughter were removed for the premises. Apparently she’s too young to be in a bar. Yeah, I’m angry. Yeah, we’re not having our happy hour there next month. I’m of the opinion this incident gives us great insight into why laws generally fail to accomplish their purpose. Let me say up front that I don’t blame the bar. I blame government. I think the bar was probably under pressure because they had underage drinkers in the past. They had most likely been warned or even fined for allowing underage drinking. I also don’t want to talk about the general stupidity of drinking laws. I’m going to focus on the abject idiocy of what happened tonight. Tonight a father and his eight year old daughter were prevented from doing something they loved because the government thinks it knows better than the parent. That’s the long and the short of it and it if doesn’t disgust you, well, there’s something wrong with you. Let’s imagine minimum age drinking laws make sense (they don’t, but allow the fantasy for the moment). There was no chance Sophia was going to sneak up to the bar and trick the lovely, and I do mean lovely, bartender into making her an Old Fashioned. If my boss wanted to allow her a sip of his drink then he could easily and legally do so at home. I ask you this question. Who was protected by what happened tonight? Who? The answer is obvious, no one. No one! A law that protects no one and prevents a father and daughter from enjoying a fun evening together cannot be anything other than evil. Yes, evil. I’ve gone there. Sophia looks forward to this happy hour. She loves spending time with her parents and the other member of our company. She was denied enjoyment. Her parents were denied enjoyment. Most importantly, I was denied the pleasure of my boss, his wife, and Sophia this evening. The ridiculous application of a law caused suffering. Again, let’s imagine the government has a vested interest in keeping nineteen year olds from drinking. At what point aren’t you allowed to use a little self-discretion? A little judgment? Sophia was not going to be drinking. She was not going to be getting drunk. She wasn’t going to fool anyone into serving her. I understand people will say that yes, Sophia was hurt, but we must protect the nineteen year olds from the danger of drinking at a bar. That we must have laws. That the laws must be enforced. I disagree. I think any law that isn’t flexible enough and thus causes absurd enforcement should not be a law at all. What do you think? Is it proper to prevent young children from being in bars? There was an absolutely fascinating incident at the 2016 Candidates Chess Tournament being held in Moscow, Russia. The top U.S. player in the world, Hikaru Nakamura, touched his king but decided against moving it. There is a rule in chess that if you touch a particular piece you must then move that piece to another square as your next move. The rule is clear. You can adjust your piece without intending to move it, if you tell your opponent of your intention beforehand. This rule is well-known by all the players at such a prestigious tournament and was one of the first rules of chess taught to me when I was a child. It happened at a crucial moment in the game and Nakamura touched a piece that if moved would almost certainly cause him to lose the game. He had to move another piece in order to achieve a draw. It’s not so much the incident that I find fascinating as its immediate aftermath. Nakamura’s opponent, Levon Aronian, immediately called Nakamura on the touch. Nakamura’s reaction was just as quick. He claimed that he was adjusting the piece. Aronian didn’t believe it for a moment and called over an arbitrator who agreed with the Armenian. Nakamura then had to move the king, did so, and soon after lost the game. It is clear from the video that Nakamura was in no way adjusting the piece. He grabbed it in order to move it and then realized his error. His initial denial of his intentions is understandable but not to his credit. He’s having a poor tournament at a very bad time. The winner of this tournament gets to play for the World Chess Championship, and a lot of money, against Magnus Carlsen. The fact that he knew this loss was going to badly damage his chances to win the tournament certainly went into his knee-jerk denial of his intentions. However, since that moment he has been exceptionally reasonable, fair, and completely without rancor (skip to about 1:30) toward Aronian and the arbiter. He has spoken about it with reporters openly. And I, for one, find that enormously admirable. Nakamura could easily have carried a lot of bitterness and defended his position until the bitter end but chose a different and better path. There are many of us, I won’t hesitate to say most of us, who would not be so generously inclined. We would be bitter, angry, we would probably convince ourselves that we were actually adjusting the piece, that we had been wronged. I get that people will find his initial reaction bothersome but I’m willing to forgive him that because of the immediacy of the situation in the heat of the moment. I find his behavior after the fact to be a far more important indicator of his character. For full disclosure, Nakamura is a member at the St. Louis Chess club to which I belong but I don’t think that’s influencing my opinion. If you don’t like bicyclists on the road and you’re a Missouri state representative what would you do? 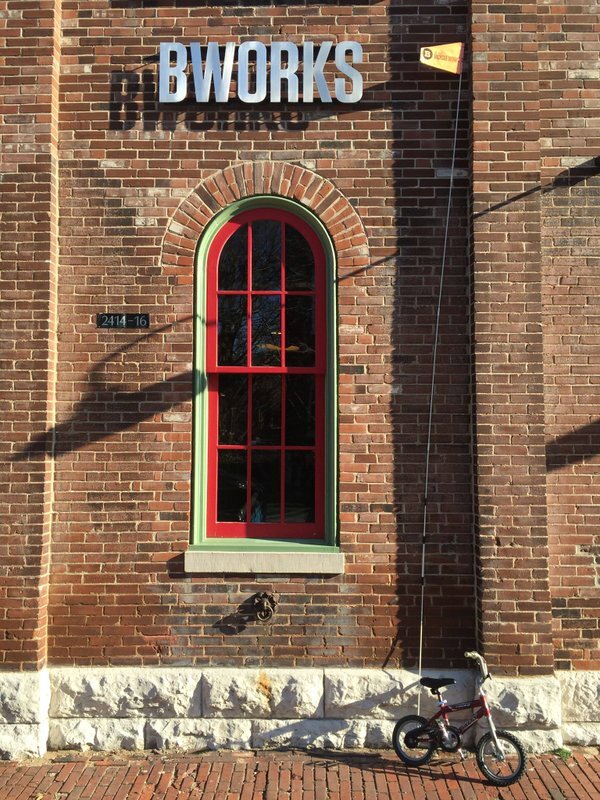 If you are Jay Houghton, the elected state representative from 10th District of Missouri, you try to pass laws banning them, for the safety of the bicyclers of course. The first attempt was an outright ban on people riding on rural roads and the second involves essentially making it impossible for them to ride by having them attach ludicrously tall flags to their bikes. The first bill failed and I’m certain the second awaits the same fate but their very existence is further evidence anyone in power will do whatever they possibly can to prevent people from doing things that the legislator doesn’t happen to like. Of course Representative Houghton is a Republican. Naturally. This second attempt really gets my anti-government Libertarian blood to the boil. The idea that this bill is being passed for “safety” reasons is so ludicrous and insulting to every human on earth that one wonders what Houghton thinks about the intelligence of his constituents. He must despise the very people he is supposed to serve to lie so transparently. What sort of person is capable of such ridiculous deception? Certainly not someone I would want as a friend of mine. I’m sure Houghton has no desire to be my friend so no great loss for either of us. The very existence of this proposal is proof positive that small-government Republican are merely enormously intrusive government wolves in disguise, bad disguises at that. They want the government involved in every tiny aspect of your life with which they happen to disagree. Every bicycle. as defined in section 307.180, operating upon a lettered county road shall be equipped with a flag clearly visible from the rear and suspended not less than fifteen feet above the roadway when the bicycle is standing upright. The flag shall be fluorescent orange in color. The picture I’ve included is a bike with a fifteen foot flag on it although I don’t think such is necessary to convince anyone of the stupidity of this proposal. And people wonder why I’m a Libertarian. 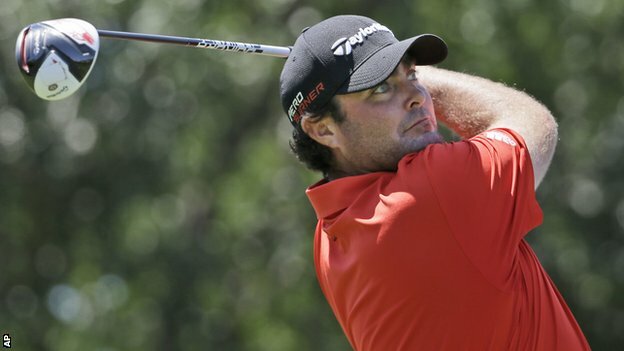 There was an interesting situation in last week’s World Cadillac Championship when a golfer named Steven Bowditch chose to keep playing despite the fact he was having a miserable week. Bowditch had mathematically the worst tournament at a World Golf Championship ever. The reason I think it’s worth discussing is because he kept playing despite the fact he did not have to do so. Normally at a golf tournament they play four rounds and anyone not in the top half after the first two rounds is “cut”. That is they don’t make any money and they don’t get to play the final two rounds. This particular event has a limited number of players and there is no cut. By finishing in last place Bowditch earned $48,000. Had he said his stomach was upset or claimed that he hurt his wrist and withdrawn at any point he still would have earned the money. He chose not to do so. Despite being well out of contention, he finished fourteen shots behind the second to last place finisher, he continued on for all four rounds. Bowditch is an excellent player who has won twice on the PGA tour and earned over three million dollars last season playing golf. He suffers from severe depression and before getting desperately needed help had some rough times. I’m of the opinion that Bowditch is to be admired for not quitting despite there being no real reason to continue on. He claims his game needed work and so he decided to keep playing but I think there is more to it than that. Perhaps, perhaps not. Only Bowditch can say. I know I probably would have quit. Most people will say they too would have continued on despite the misery but I think that’s not the case. Anyway, I admire Bowditch and wanted to say so. I also have a question for anyone who reads this. Do you think you would have quit? With nothing to play for and in misery, do you think you would have continued on? Honestly ... I have to say no. I'd quit.